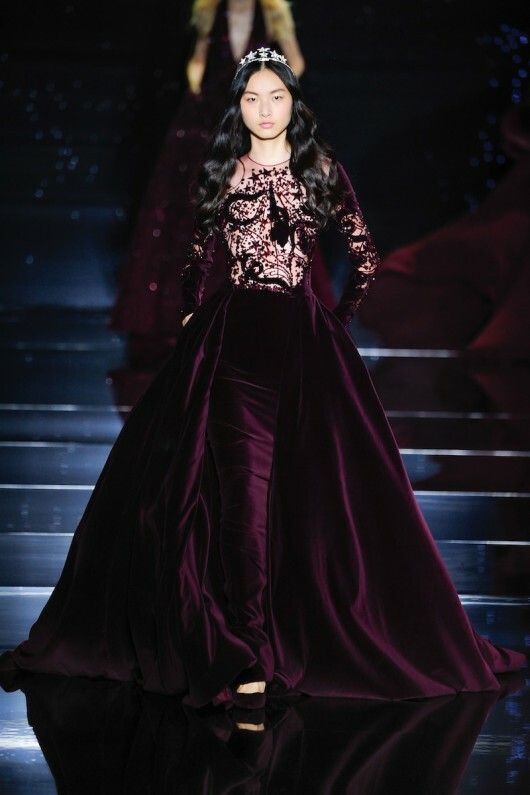 If you want another royal treatment, you can have Zuhair Murad. The collection gave me a vibe of a vintage beauty queen at first. The stars and the crowns made each models like a holy woman whom had come from the heavens. 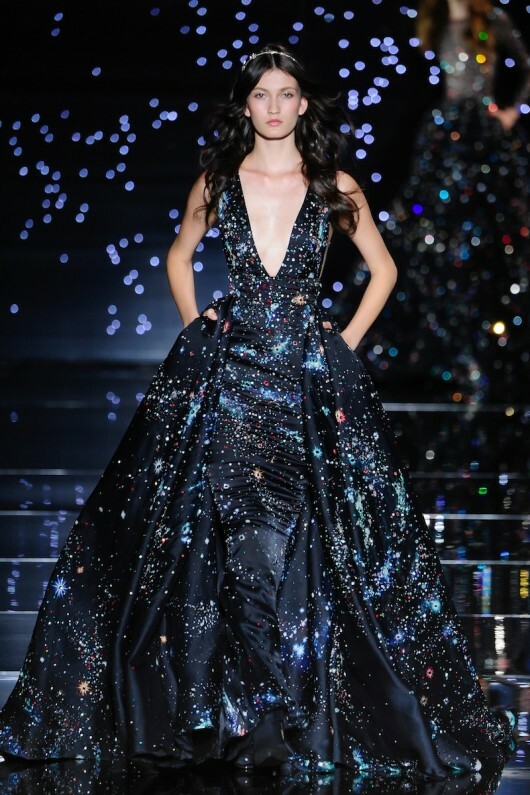 All of the sudden, by looking at the clothes, it feels like I was looking to the dark starry night sky. Universe and galaxies conspire, the constellations of design revealed the princess of the stars. Murad gave velvet and sheer a mystic poetry. All of Zuhair Murad collection at Vogue Nederland. Also check the dynaic duo Viktor & Rolf.